After a trip out to the graveyard our teacher took us to Cafe Louvre. 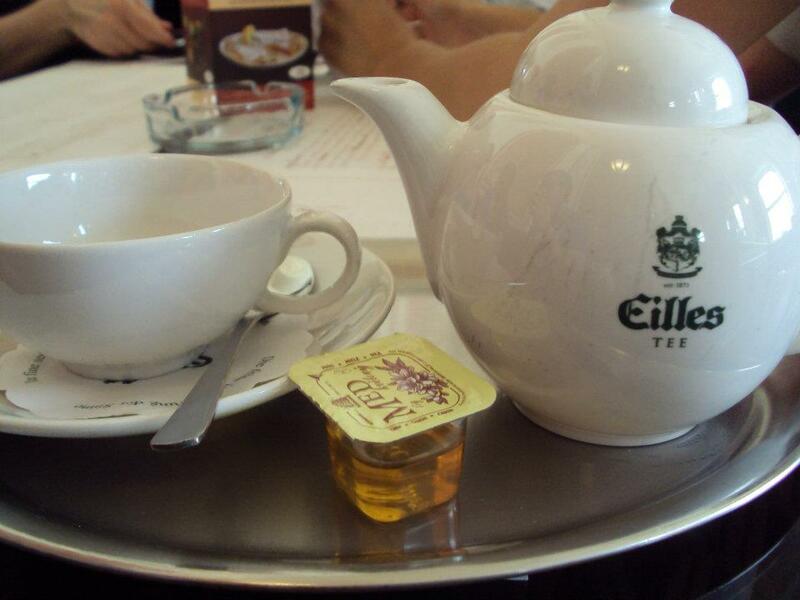 Still getting over being sick I ordered ginger tea. 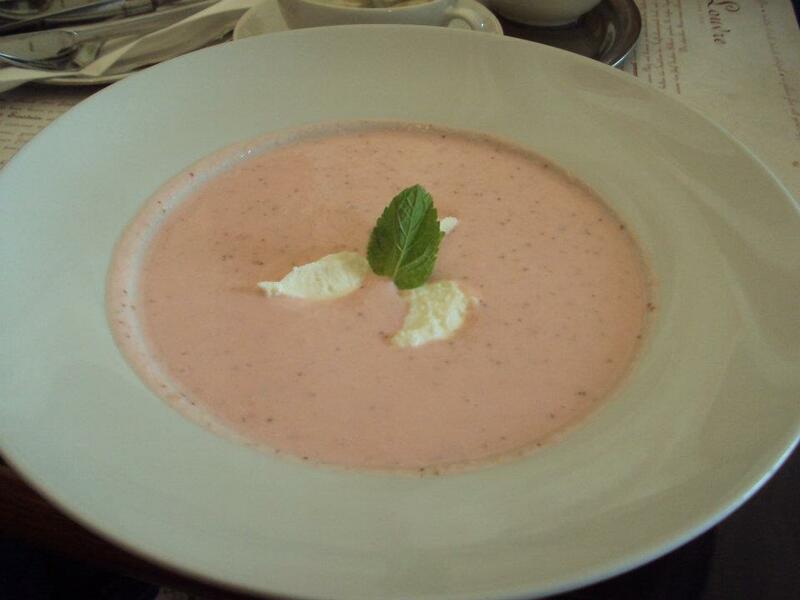 When we went when the restaurant was having a strawberry take over of their menu, with strawberry drinks and what I ordered, cold strawberry soup, that I loved. 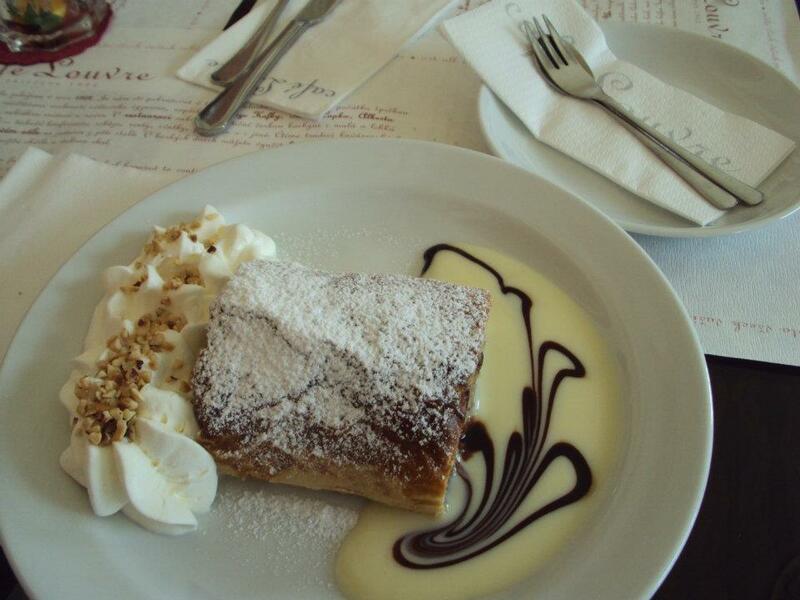 I also ordered an apple strudel. Cafe Louvre has been around since 1902. They have newspapers in the mornings and a billiards, chess, table hockey, and a few other games can be set up to be played for about 10-100 CZK. It has also been host to some famous visitors such as Franz Kafka, Karel Capek, and Albert Einstein amongst many more. 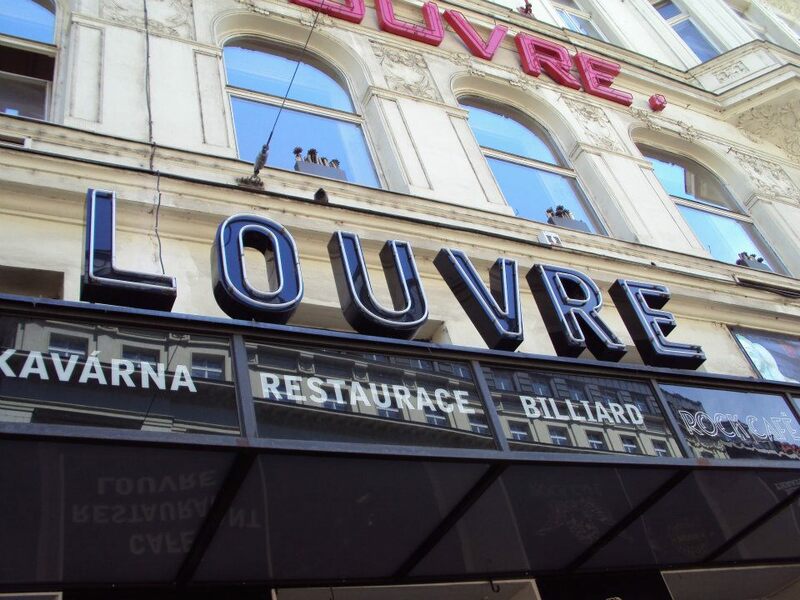 Cafe Louvre is located at Národní 22, 110 00 Praha 1.